How do I open an Online Trading Account ? 1. 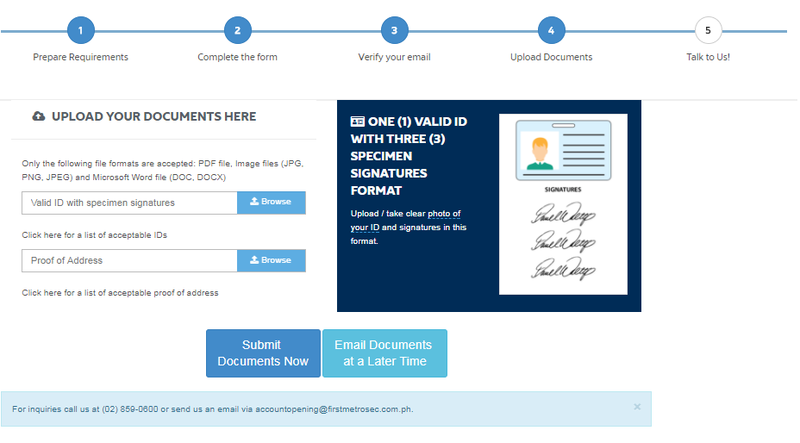 Visit www.firstmetrosec.com.ph, and click on OPEN ACCOUNT. 2. Fill-up ALL THE REQUIRED FIELDS. 3. 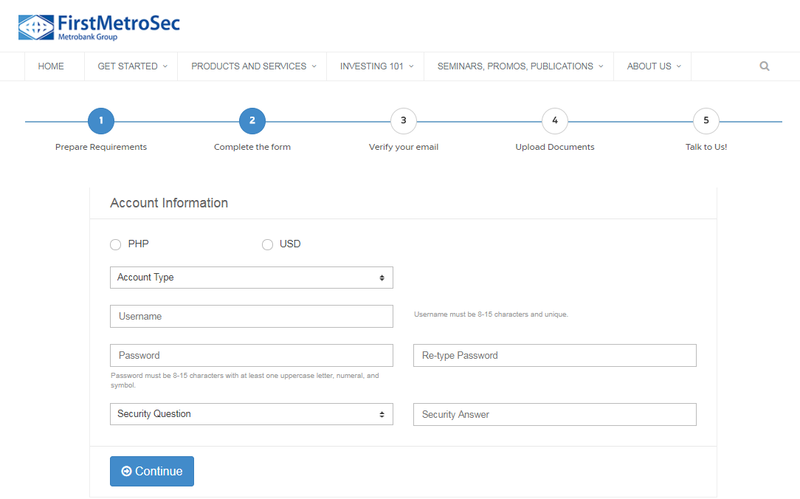 Verify your E-Mail by clicking the ACCOUNT EMAIL VERIFICATION. 4. Upload all necessary documents through our website or you may email the documents on a later time. 6. You will receive an e-mail once your account has been activated.